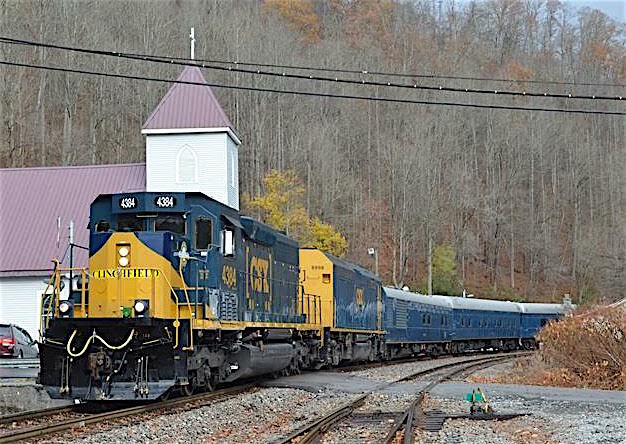 AC4400CW (GE) 1-3 47581-47583 6/1994 Nee CSX 9100-9102; #1 lettered "Spirit of West Virginia"
367-421 51384-51438 11-12/1998, 8-9/1999 #403 converted to CW44AH (Note G); #391 is lettered "Spirit of Dante"
48975-48977 12/95 Pre-production units with 4400-hp FDL power plant; #601 is "Spirit of Waycoss"; #602 is "Spirit of Maryland"
Rumors are circulating about a proposed custom-painted "911-First Responders"
-- -- Reports are circulating about a new custom-painted "1776"
The following information comes from Lee Yoder: The reason for numbering SD40-3's in the 4200 and 4300 series when the 4000's haven't been filled and 4100's still vacant is that the units are being grouped into different number blocks depending on the core unit used. CSX #4000-4224 will be comprised of former CSX SD40-2's with HT-C trucks in the 8000-8261 series. CSX #4225-4284 are former CSX SD40-2's #8800-8868 which are ex Conrail with Flexicoil trucks. #4285-4371 are former CSX 8300-8400 SD40-2 rebuilds which started life as SD40's (and a few SD45's). #4372-4383 are former CSX SD40-2 rebuilds #8900-8911 which were acquired from NS and were rebuilt by Conrail to SD40-2 specs in the early 1990's. The final group is #4384-4399 which will be rebuilt from former CSX SD40-2 rebuilds #8869-8888 which are former SD40's rebuilt to DASH 2 specs by Conrail, except for #8886 which is a former SD45-2 rebuilt to 40-2 specs and #8887-8888 which are ex CR SD40-2's with Flexicoil trucks. 976825-1 to 15 4-5/98 Re-#d from 775-789 series < ex-Conrail 4130-44; #4589 is the "Spirit of Nashville"
53725-53746 8-9/2002 #5107 is lettered as "William Thomas Rice Special"
58006-58007 1-4/2007 #5500 lettered "Spirit of Cincinnati"
Note: Many #6201-6249 locomotives have cab signals and/or PTC installed. The following 6200 series units received a class one overhaul and new "box car" series paint: #6203, 05, 10, 12, 14, 16, 18, 20, 22, 25-6, 29, 34-7, 39-42 & 46. Additionally, #6244 & 6245 received class one overhauls, but not the "box car" paint. The CSX 8900 Series (ex-NS SD40-2Rs) have been sent to Boise Idaho to MPI for CSX -3 Conversion Rebuild. Note "C" (continued) --- The following information comes from Lee Yoder: The reason for numbering SD40-3's in the 4200 and 4300 series when the 4000's haven't been filled and 4100's still vacant is that the units are being grouped into different number blocks depending on the core unit used. CSX #4000-4224 will be comprised of former CSX SD40-2's with HT-C trucks in the 8000-8261 series. CSX #4225-4284 are former CSX SD40-2's #8800-8868 which are ex Conrail with Flexicoil trucks. #4285-4371 are former CSX 8300-8400 SD40-2 rebuilds which started life as SD40's (and a few SD45's). #4372-4383 are former CSX SD40-2 rebuilds #8900-8911 which were acquired from NS and were rebuilt by Conrail to SD40-2 specs in the early 1990's. The final group is #4384-4399 which will be rebuilt from former CSX SD40-2 rebuilds #8869-8888 which are former SD40's rebuilt to DASH 2 specs by Conrail, except for #8886 which is a former SD45-2 rebuilt to 40-2 specs and #8887-8888 which are ex CR SD40-2's with Flexicoil trucks. 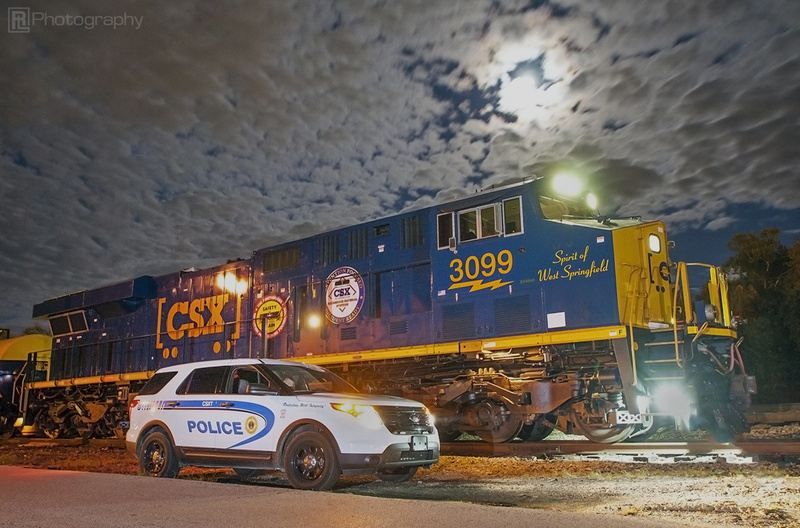 **The "H" in CSXT's class CW44AH and ES44AH locomotives stands for "high", which is in reference to a combination of subsystems that produce "high" levels of tractive effort at low speeds. 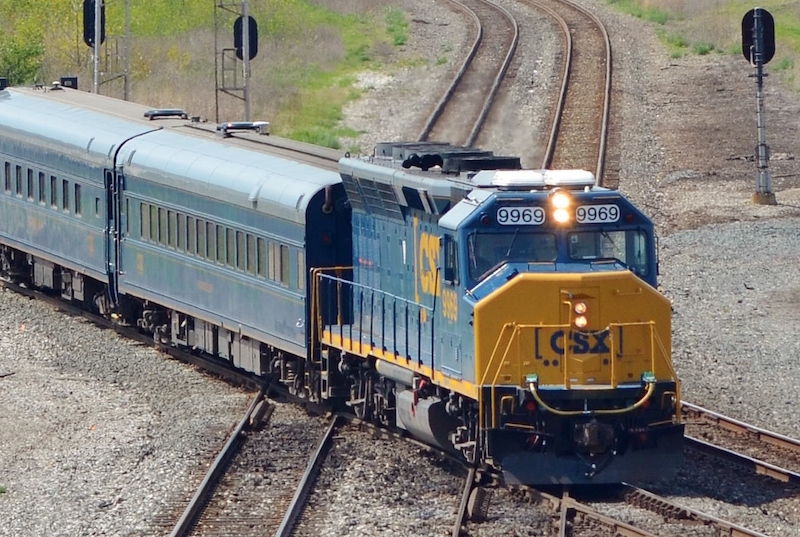 If it only stood for "heavy", CSXT would have classified its 432,000-pound model ES44DC locomotives as ES44DH instead of ES44DC or, currently, ES40DC. In order to be classified as an "AH", a locomotive has to have not only an increased (currently to 432,000 pounds) nominal weight, but also (1) steerable trucks, (2) TM3 adhesion control software, (3) software that extends to 36,000 pounds (from 30,000 pounds) the maximum amount of tractive effort that each traction motor is permitted to produce, and (4) GE's Rail Cleaner, which directs high-pressure air onto the rails in front of the sand nozzles forward of number one axle. Note N - A dozen SD40-2Rs will be received from NS. They could retain their black paint and be temporarily re-lettered "CSX" in white. Lists of derated B40-8s was compiled by Allan Williams.